It doesn't take long to assess an individual's feelings towards the military, once they find out you are from the armed forces. One of a few things is likely to happen; the individual may respond with enthusiasm, perhaps telling of people they may know in the military, or how they themselves nearly joined. The individual may feel the need to show appreciation for all they believe you have sacrificed in the act of promoting peace and democracy. Or, they will experience panic as they realise the pleasant, articulate individual who shares their interests has single-handedly deconstructed their preconceived opinions of how a military person behaves. I was in town the other day when I bumped into an old friend. She introduced me to someone she was with. During the catch-up chat, I was asked about my work. The new acquaintance, upon learning I was military, instantly remarked, "Thank you for your service". No-one had ever said that to me before and I wasn't sure how to respond. When somebody thanks you, it's customary to respond by saying, "You're welcome", but this felt a little inappropriate at the time, so instead, I just mumbled something like, 'no need to thank me'. What do you say in this situation? Doubtless, nothing other than goodwill was intended and the sentiment was entirely welcome, but for some reason, the pleasantry just didn't land well with me. It felt insincere; disingenuous even, to receive such a general expression of thanks. The most striking thing was that this person's first instinct was to thank me, without any depth of understanding of my military background. So how do you go about giving thanks, and making sure it lands in the right way? In a corporate environment, there are many opportunities and reasons to capitalise on this most cost-effective of acts. A study published in the Harvard Business Review in 2010 showed that a mere 0.1% increase in employee engagement at Best Buy, drove $100,000 in operating income to the bottom line of each store per year, with simple recognition being the most important factor. Chester Elton, author of The Carrot Principle, suggests: Give praise now. The closer the recognition is to the behaviour, the more likely it will be repeated. Give praise often. The more you reference what's important to you, the more people will focus on that. (Read more in this interview). Experts stress the importance of specificity. Psychologist Dr. Wayne Nemeroff, CEO and co-founder of PsyMax Solutions, says, "Recall a particular situation and describe a specific behaviour; acknowledge the impact the behaviour or action had on the group or the project, or on you." Specificity is important, of course, but sincerity is king. 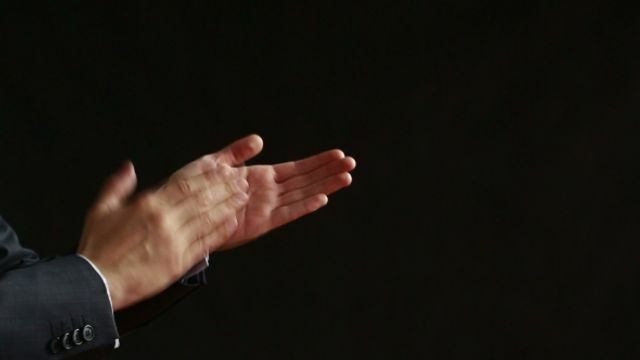 Sincerity will automatically lead to praise, and, most likely, impromptu praise (the best praise of all, because it's automatically perceived as sincere). It simply takes advantage of a moment that is already happening; an email, the beginning of a meeting. Sincerity is one of the three factors which make up credibility, as covered in more detail in this article by Kyle Hughes of Applied Influence Group. Operationally, in the Royal Marines, every action is reviewed and where applicable, praise and constructive criticism given. Outside of this, achievements of the individual are passed up the hierarchy at all levels. For example, a corporal who notices a commendable act from any of the seven men under his command will pass this to the other corporals and up to the troop sergeant and troop commander. These points will inevitably be raised in a more public forum during the 'after action review' which will happen on a daily basis. The troop commander may explain the positive effect the individual's actions had on the patrol. There will be a huge positive, psychological effect on a recipient of this kind of specific public praise, increasing an individual's morale and future actions causing them to take pride and further diligence in their work as a result of their increased sense of self-worth. What's more, this positivity will spread as more people want to experience the serotonin hit of recognition for their achievements from their peers and hierarchy. Back to the story. What do you do when you meet a new service leaver in the street or in your organisation and you want to show your appreciation and support? The best course of action would be to find out how their move into their new life is going. What are their concerns, their barriers to progress? What can you do to help ease their transition? A service leaver is like anyone else in that they just want to fit into their new organisation, so perhaps show meaningful appreciation by asking how you can help them make a smooth transition to the world of civilian employment. Then you will see the true value that a service leaver can bring to your organisation.